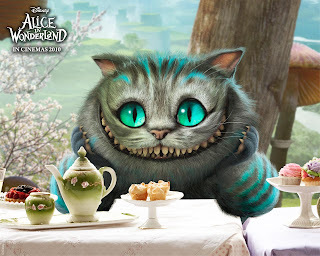 File this under "old news" that I'm just catching up with: There will be a live event on February 19 at Hollywood and Highland to promote Tim Burton's Alice in Wonderland. Present will be Tim Burton himself, and several soon-to-be-announced cast members. There will also be live music by bands featured on the Almost Alice soundtrack. More details here. Fans are encouraged to show up in costume. The event will be be streamed live here on MySpace.